2. Select your preferred denomination (Min: 100 MOL). 3. 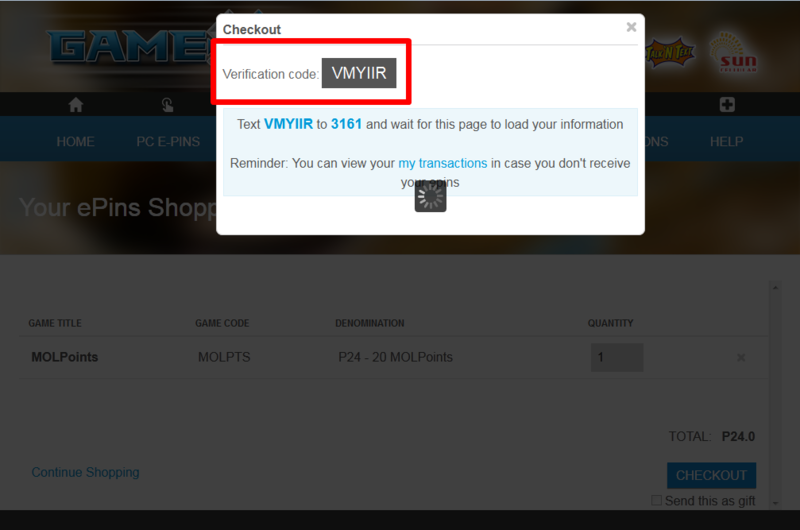 Select your preferred quantity and click "Add to Cart"
4. 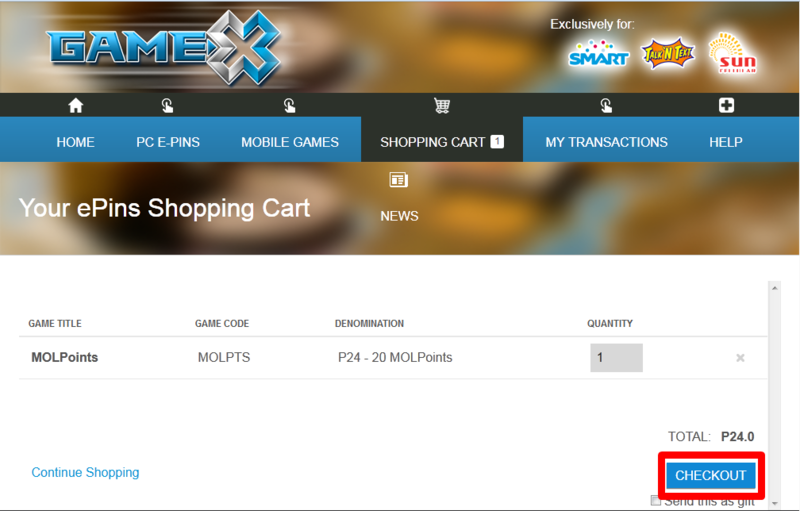 Check your shopping cart, then click 'Checkout' if you wish to proceed with the payment. 5. 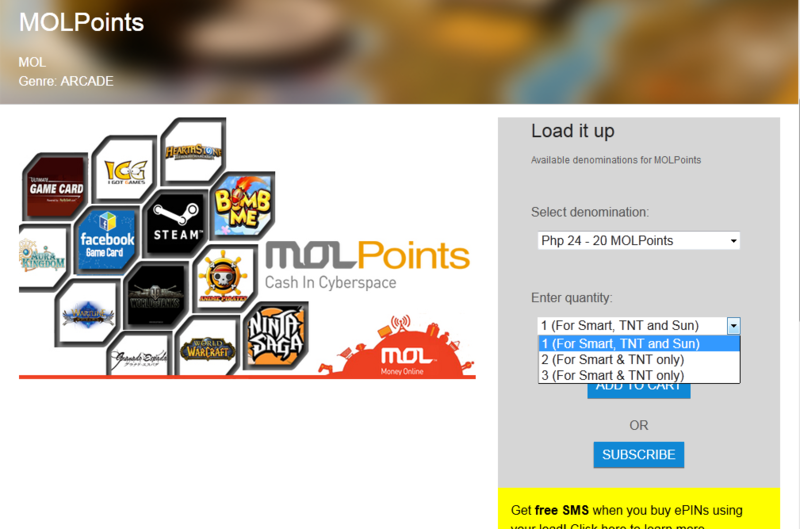 Enter your SMART/Talk 'N Text/Sun Cellular mobile number and click "Submit"
7. 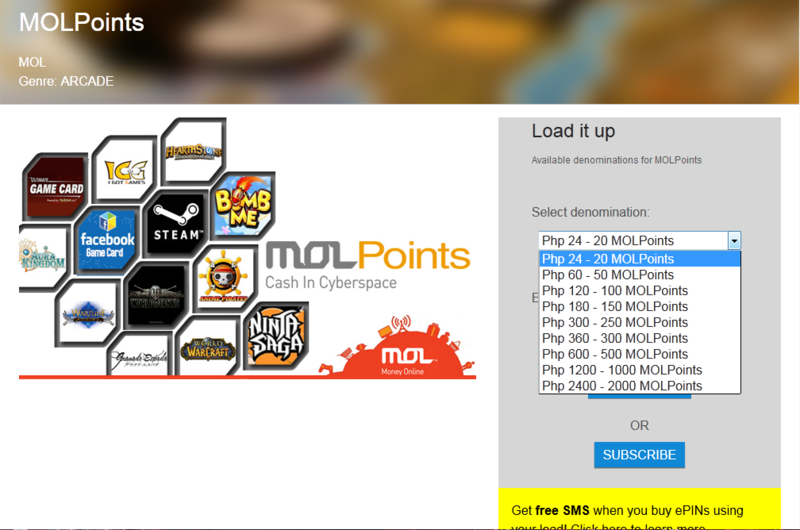 MOLPoints ePIN and Serials will be sent via SMS. 8. 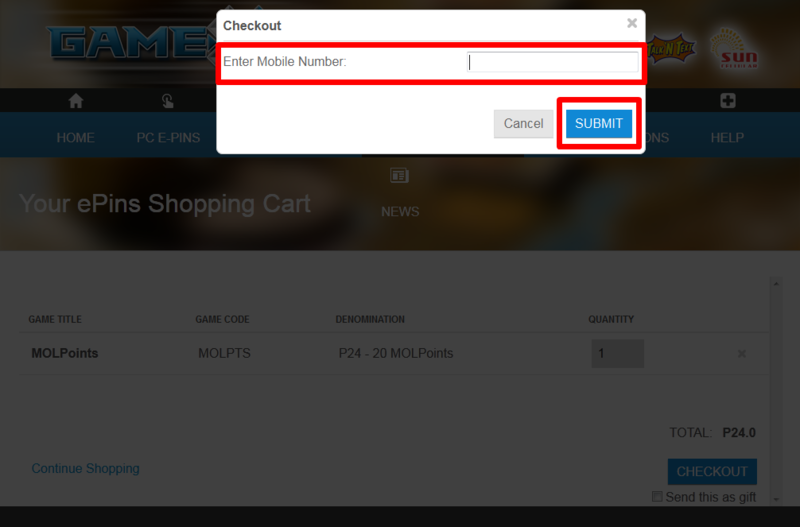 Go http://clusterflyff.com/index.php?site=donate and click GameX "open form" button. 9. Fill the form with the correct info. Your DPoints will be added within 24 hours.